I made a list, Day 6 gifted it twice! Fiction, nonfiction, poetry, YA, a music biography and (not pictured) an adorable picture book for kids. 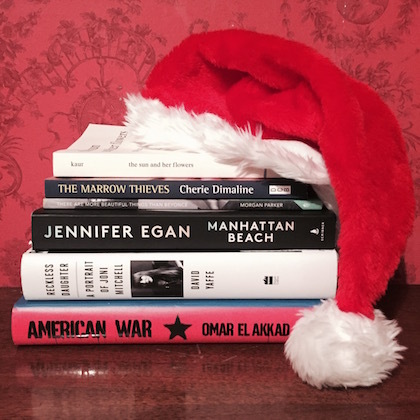 What will you find in your stocking this year … ?